Moms In Hawaii is supported by a respected list of initial sponsors — The Queen’s Medical Center, Meadow Gold Dairies and McDonald’s Restaurants of Hawaii. In a groundbreaking business model, Moms In Hawaii and the initial sponsors have honored the moms’ preferences by eschewing an advertisement-heavy social media site in favor of engagement with the moms community via such channels as sponsored informative content, custom promotions, and special events for moms, kids and families. Queen’s Medical Center has sponsored the content related to pregnancy and birth for moms, moms-to-be, potential moms and interested family and friends. Meadow Gold Dairies has sponsored the food and nutrition content on the site, including some of Lani Moo’s favorite recipes and those of the moms. McDonald’s Restaurants of Hawaii has sponsored the keiki and family activities content on the site where families, including families visiting Hawaii, can find new and interesting things to do. The MomsInHawaii.com social media site is the online home base for a warm, supportive community of women who go there to share information, product and service recommendations, opinions, friendship and support. The social media site offers a dynamic mom-to-mom discussion forum, expert articles, calendar of family-friendly events, photo albums, polls and groups. And with a commitment to continuing technological development, MomsInHawaii.com has many more features coming soon, such as a pregnancy calendar and a due-date calculator sponsored by The Queen’s Medical Center, a mobile edition, and live discussions with people of interest to moms. There are also plans for sponsored content in other areas that moms want to know and talk about such as: finance, business, health and fitness, green living, military life, technology and gadgets, and travel. Moms In Hawaii and its members organize frequent playdates, moms’ nights out, charity drives, community fun-run teams, picnics and more. 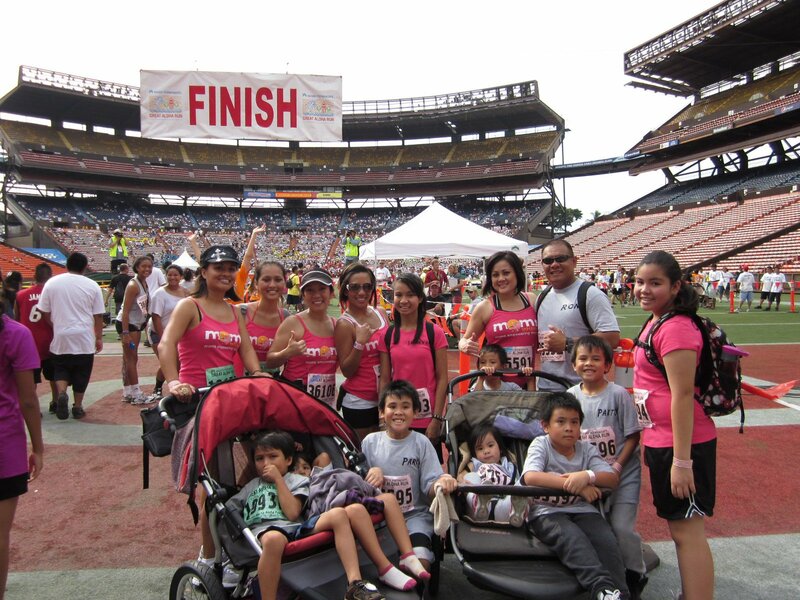 The outings build bonds between Moms In Hawaii members while enriching their and their children’s educational experiences. “Our vision is to bring moms together in a comfortable way and places where they can engage as parents, women, citizens, community activists and volunteers, employees, employers, consumers, and in every other role that helps them get the information and support they need to enrich their lives,” Nii said. “Over the nearly five years I’ve spent creating and administering social-media communities for mothers, I’ve seen that there is tremendous power when you bring these women together. They and their families become happier and healthier, and the women become a force in our communities. Moms In Hawaii is uniquely equipped and driven to provide a gathering place for moms and their ideas, and we are excited about the social good it will do,” added Nii. Editor/Host and Chief Executive Mom Esme Infante Nii brings rich experience to Moms In Hawaii as a journalist of 21 years at The Honolulu Advertiser and USA Today, a leader in Hawaii’s social media industry, and a kamaaina mother of two. Nii is supported by the Mom Squad, 13 moms who serve as discussion leaders for the site, as well as the online and offline welcoming committee for all who join the community. The MomsInHawaii.com social media site “beta” test-launched to a limited group of 25 founding moms in November 2010, then specially invited another 50 beta-test moms in January; the site soft-opened to the public on February 16. Moms In Hawaii now welcomes all moms, expectant moms, want-to-be moms, aunties, tutus, and all women who care about children and our community. Moms In Hawaii’s goal is to empower moms by bringing them together, both online and “in real life” … help them get the information and support they need to keep their families and themselves happy and healthy … and add enrichment and fun to their lives along the way.